2007 not only saw MySpace cement its place as the world’s biggest social media platform and Apple launch something called an ‘iPhone’, but it was also the year that Ascensor was founded. Since then we have evolved into a full service digital agency in Leeds, working with clients of all sizes and sectors across the UK. Having always looked to push the boundaries of technology since we began, a couple of years ago we launched Air Websites to offer professional, robust solutions as an online entry level product that can grow with your business. 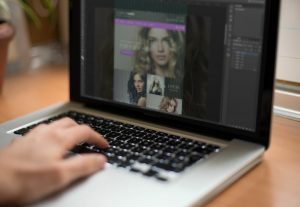 As bespoke website developers, we understand not only the amount of work that goes into creating a website that looks great, performs well and is easy to manage, but the pitfalls that come with choosing an off-the-shelf option. However, having grown from a start-up ourselves we also appreciate the importance of every penny that gets spent. We therefore set about creating a solution where you can get the benefit of our technical experience, customer services and support, yet the website cost is very competitive. Air Websites was the answer. By creating the templates ourselves in-house, it meant we could minimise front-end coding and testing time – subsequently reducing the overall cost to our clients. Because there is no one size fits all solution, we also wanted to provide as much flexibility as possible so decided on three different packages which vary depending on the number of pages and certain functionality. Our next consideration was to provide as much choice as possible in terms of the design so we created five templates for launch. As the popularity of the product grew with start-ups and small businesses, we decided to expand this further by creating a range of new templates, each one specific to a particular industry. There are now over 12 professionally designed WordPress templates to choose from – ranging from the third sector to health and beauty – with more to come in the future. So once the package and template has been chosen we then project manage the process throughout to ensure a stress-free and experience. We take the logo, text and images and populate this within their chosen template meaning each Air Websites website ends up being different. We now have a dedicated Air Websites department who have created over 40 of these small business websites, so we are not only able to get these built to high commercial standards but also turned around within a matter of weeks. If you could benefit from an entry level solution that can help your business grow without huge investment, please contact us today.